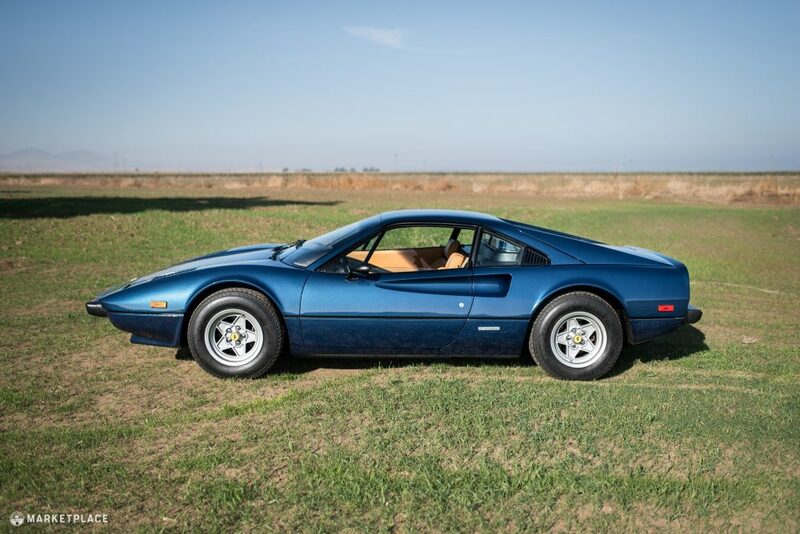 This 1979 Ferrari 308 GTB is two-owner example with 57.5k miles shown, and is finished in blue over tan. 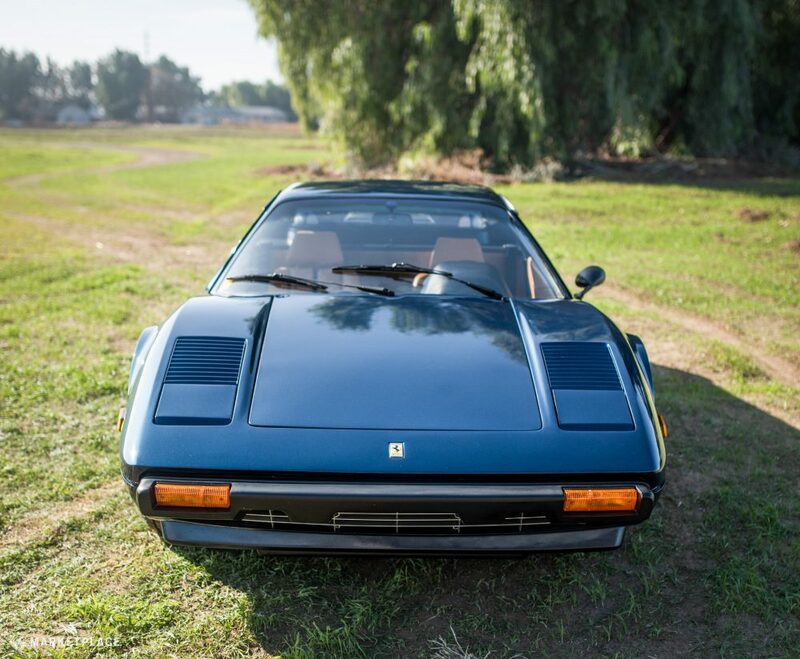 The car was delivered new to Ferrari of Los Gatos and has lived in California ever since. 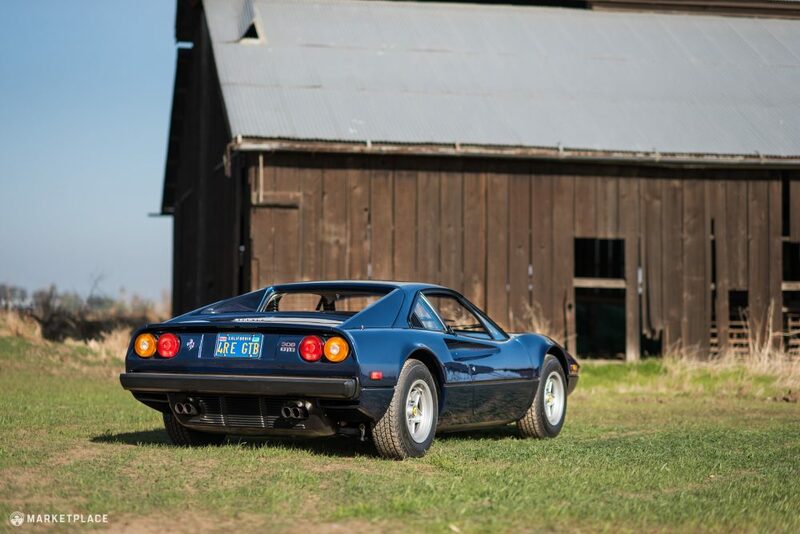 The current caretaker is a Ferrari Club of America concours judge who purchased the car from Los Gatos Luxury Cars in 2011. 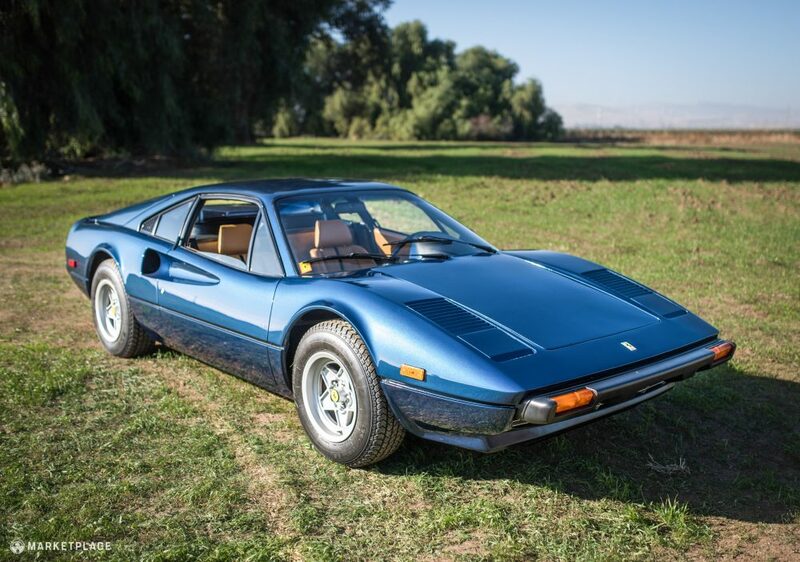 Overall, the car presents extremely well and has won awards at recent local concours including a Platinum Award at the Alameda Concours d’Elegance and Danville Concours, and gold at the Hillsborough Concours. 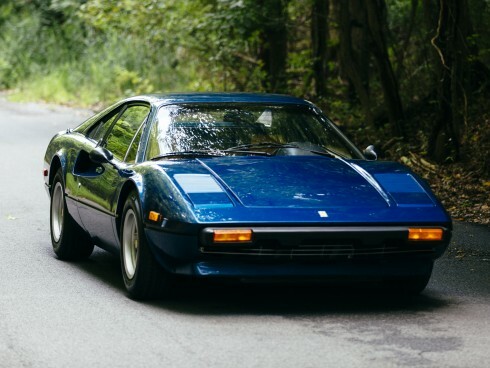 Mechanically speaking, the car has completed its Ferrari major service in the last 7k miles and had the carbs rebuilt within the last two years. 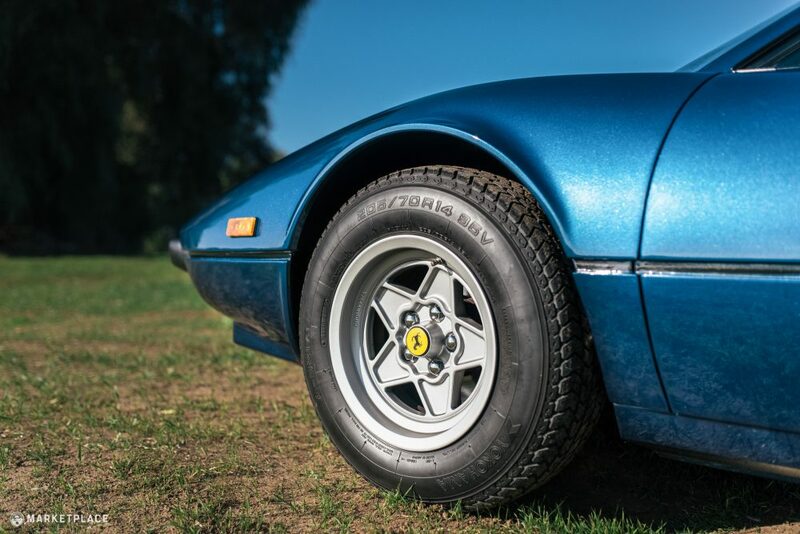 Body – This steel-bodied GTB is comprised entirely of its original factory-fitted bodywork, and shows no sign of accident damage or rust. 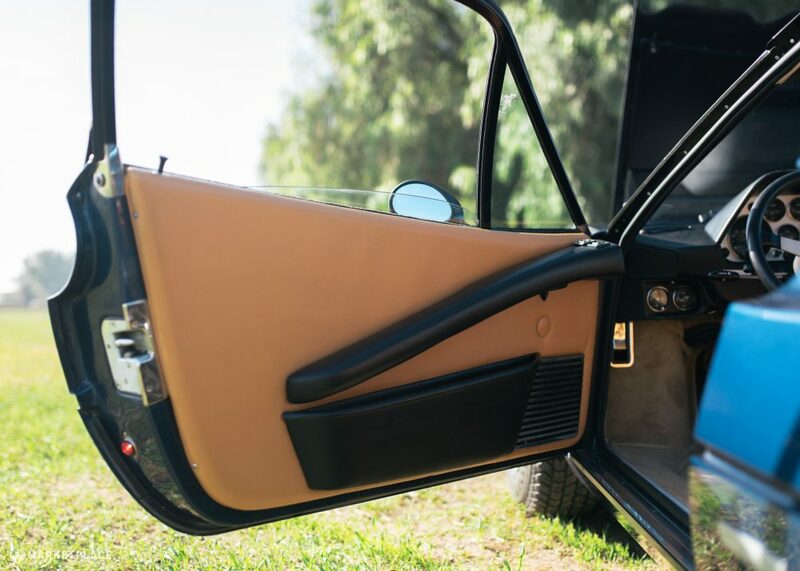 Panel fit is correct all around. 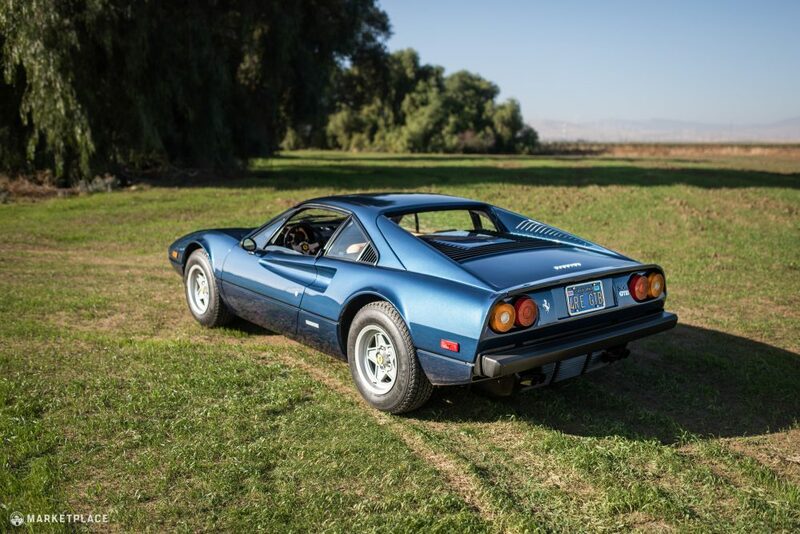 Paint – According to the build sheet, the car was originally delivered in the special-order color Bleu Dino by the first owner. 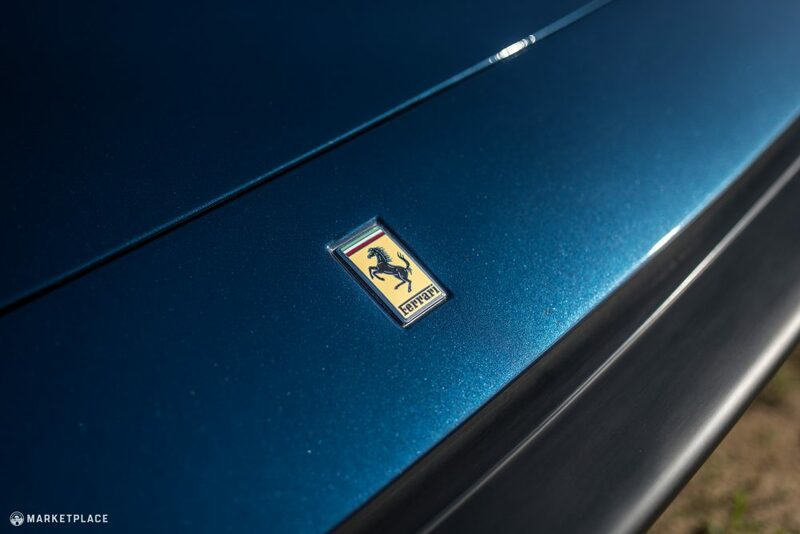 Currently, the car appears to be have been finished in a darker metallic blue which looks to be quite fresh. 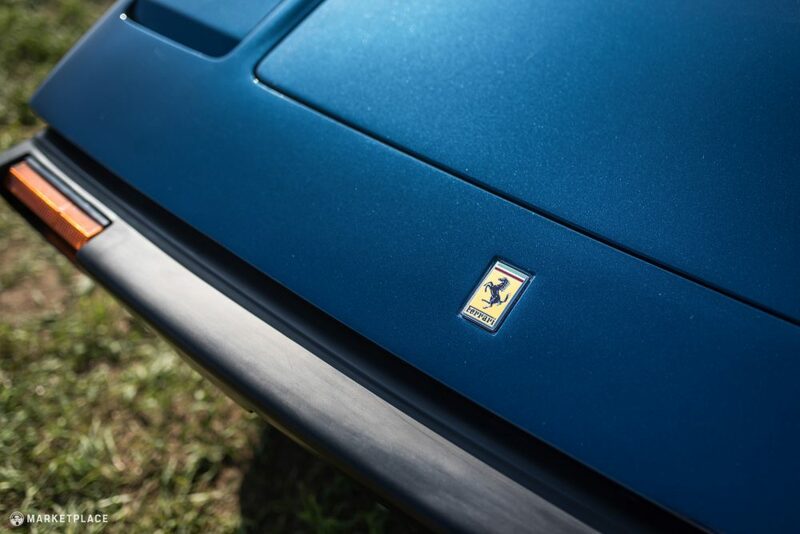 The color is quite diverse in depending on the lighting, ranging from lighter blues in direct sunlight, to a muted, almost matte look in the shadows. 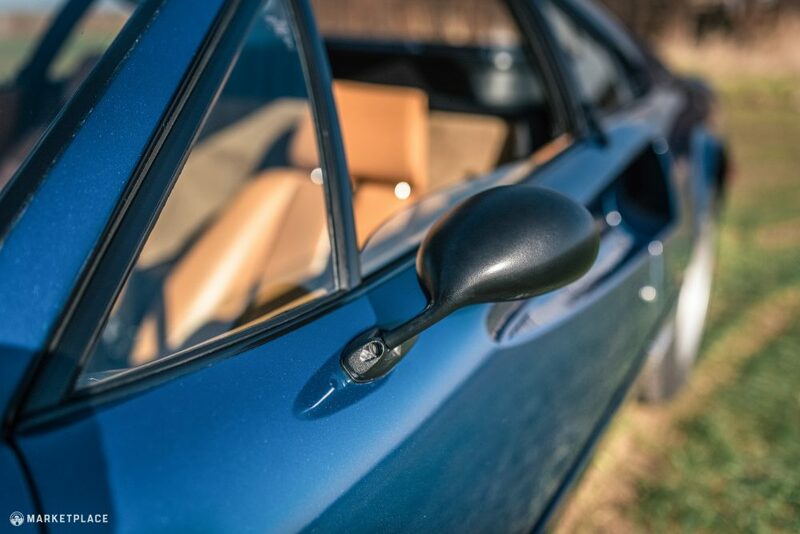 Trim & Glass – All pieces of glass are original to the car. 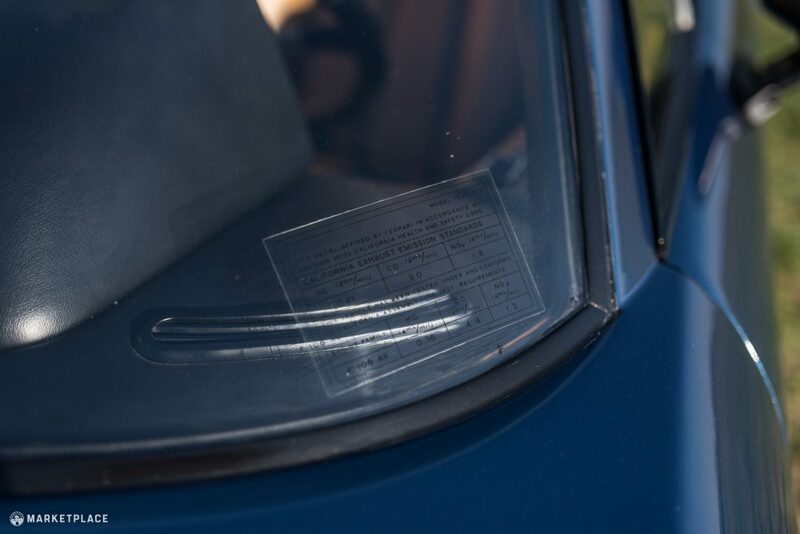 The seller notes the passenger window has a small scratch but all others are in good condition congruent with the car’s age. 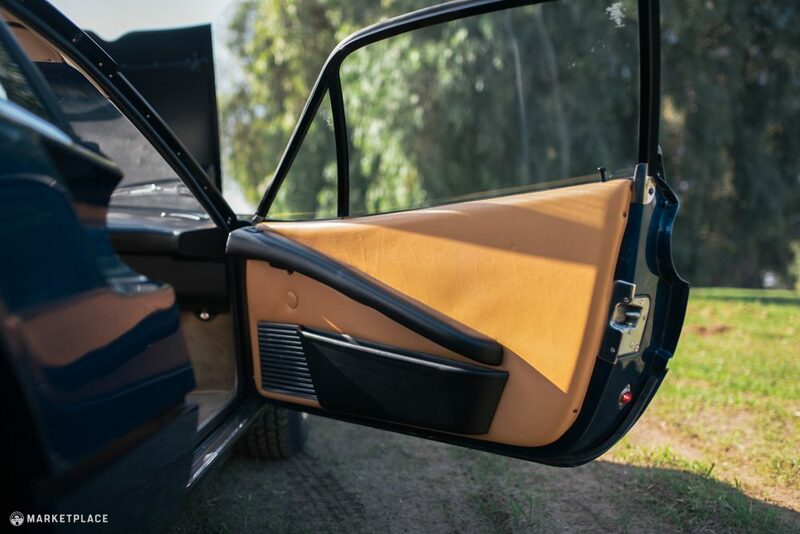 The black trim and all weather stripping in very good condition as well. 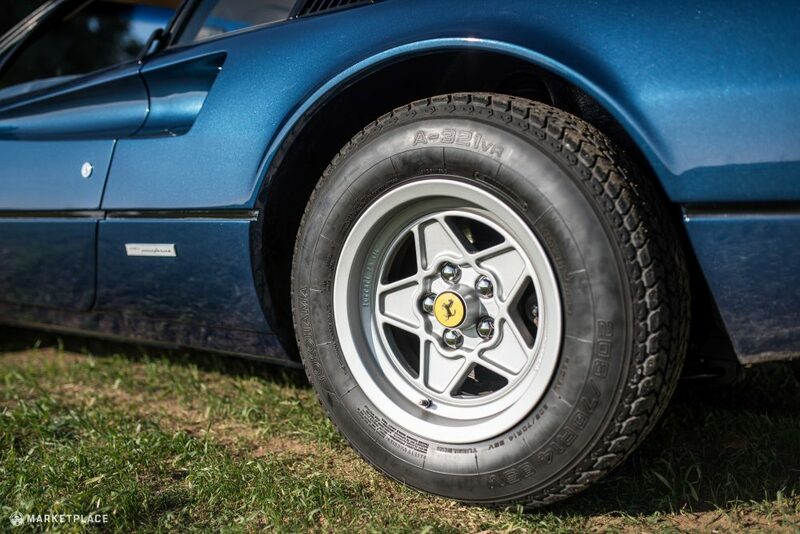 Wheels – The factory 14-inch Speedline alloy wheels are free from curb rash, chips, peeling, and fading. 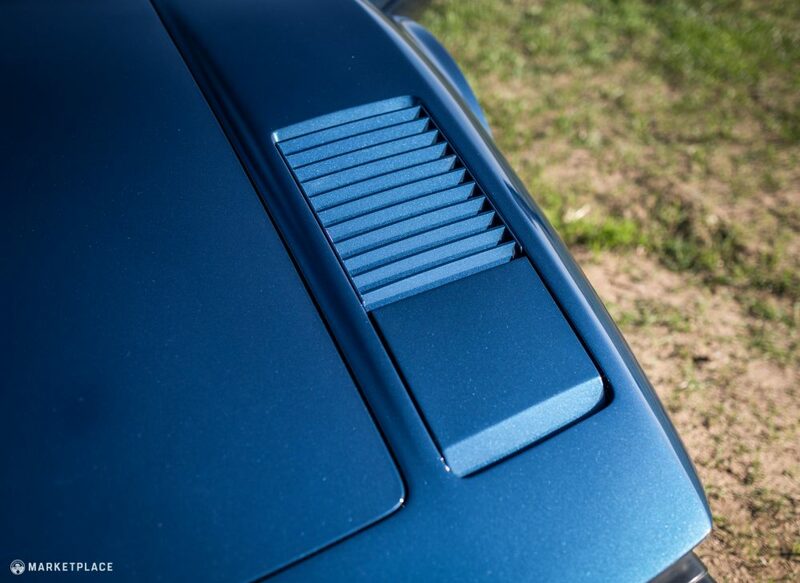 All four center caps are included in equally clean condition. 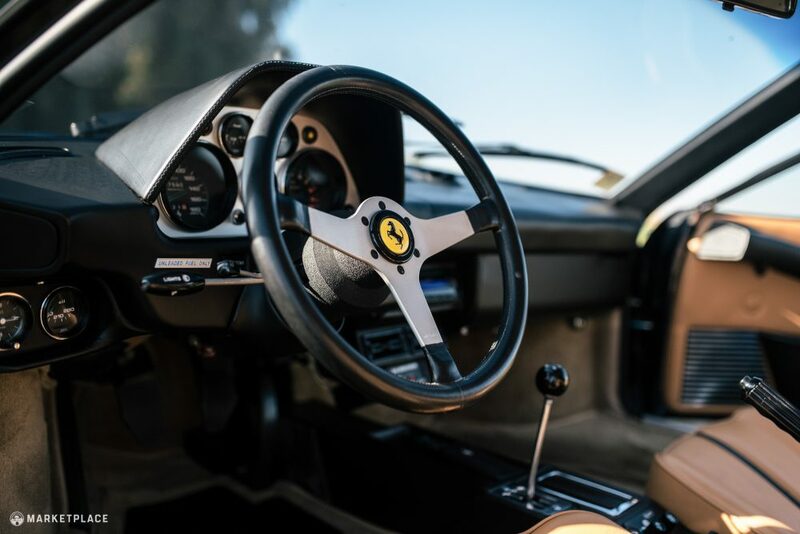 Steering Wheel – At the control center, the original black leather-wrapped, raw-aluminum-spoked MOMO steering wheel is in great condition considering the mileage. 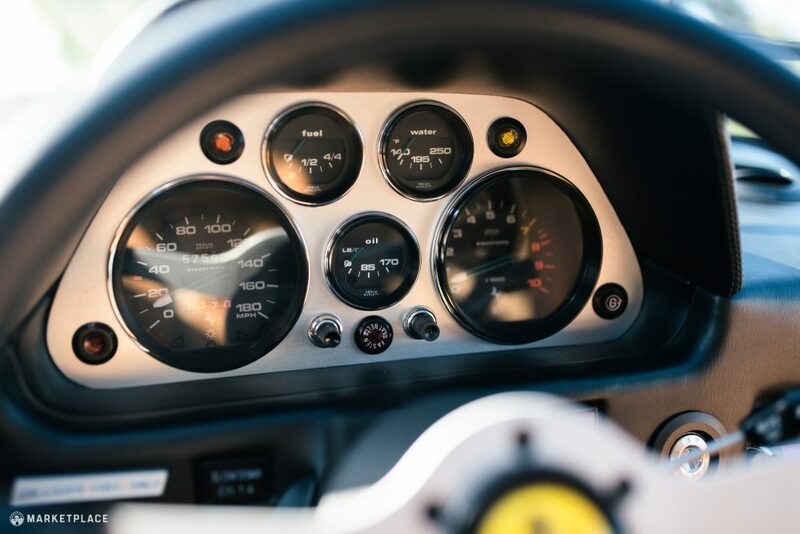 Dashboard & Instrumentation – The aluminum instrument panel has all of its original Veglia instruments, all of which are functioning as they should. 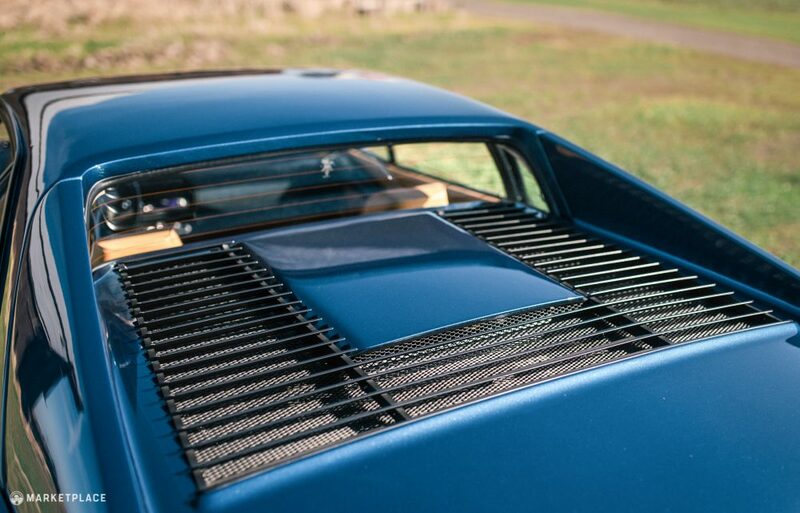 The AC has been recently recharged and blows cold. 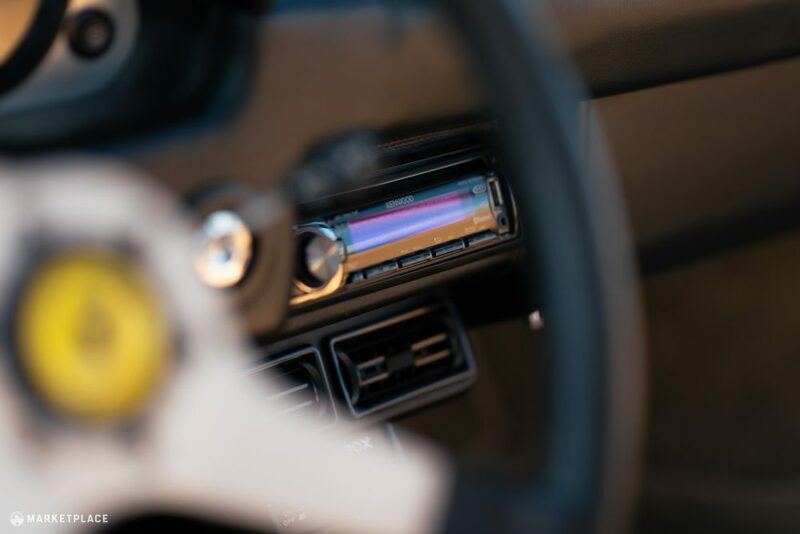 The dash is very clean and free of any cracks. 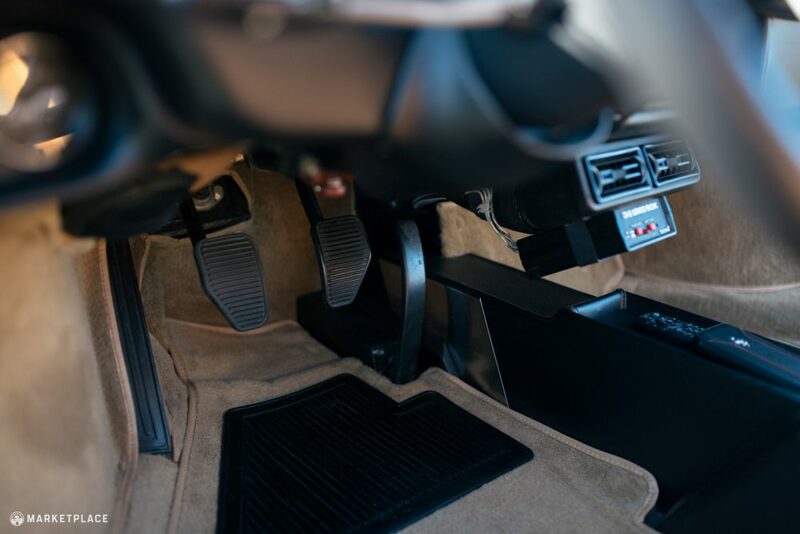 The car is fitted with an aftermarket Kenwood audio deck and modern speakers that have been retrofitted in the doors, though none of the modifications affect the original components in the doors. 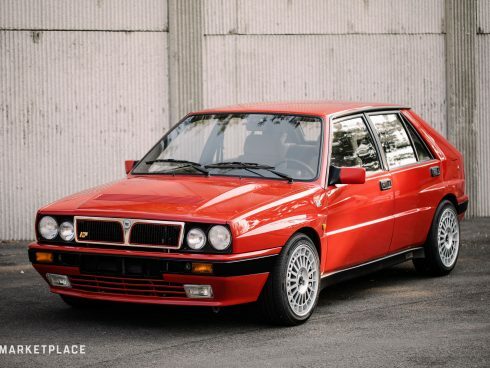 The car also has a period correct alarm system installed by the dealer (includes original packaging and manual). 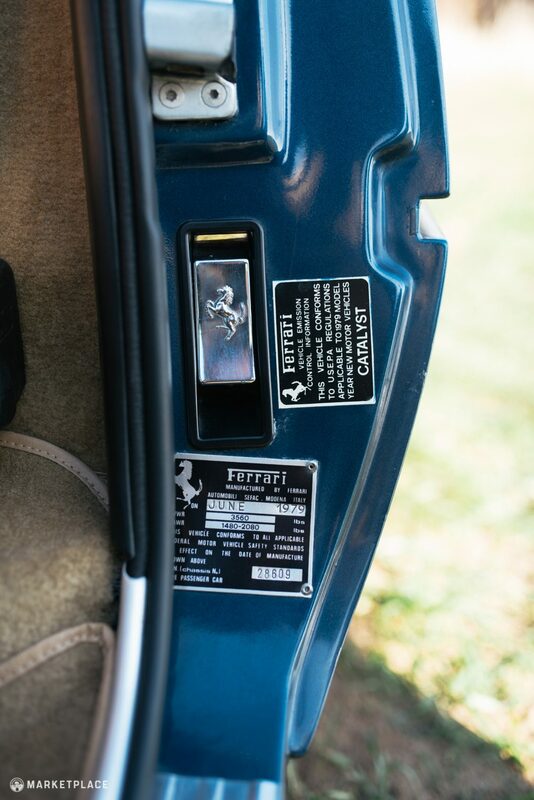 The fusebox is original and reported to be in excellent condition, which can be a weak spot on many 308s. 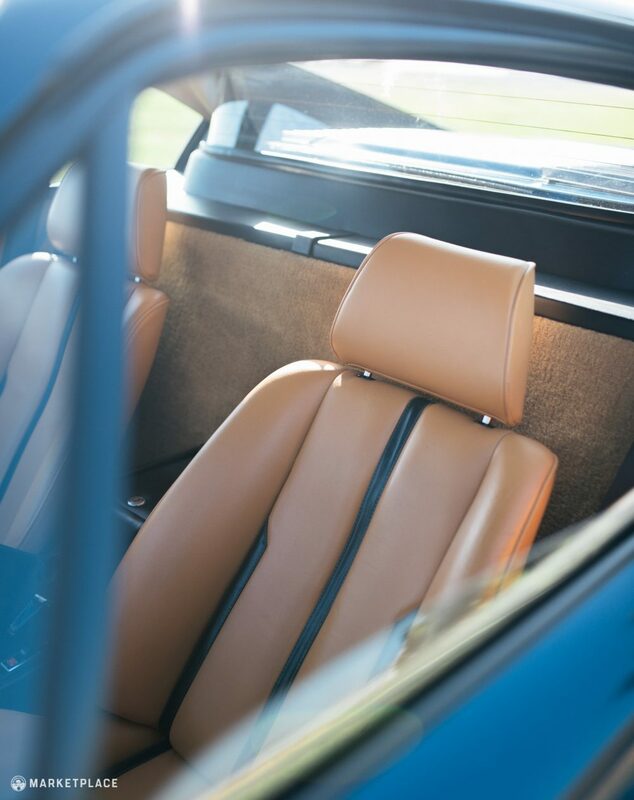 Seats, Trim, & Carpet – The tan leather seats show minimal wear. 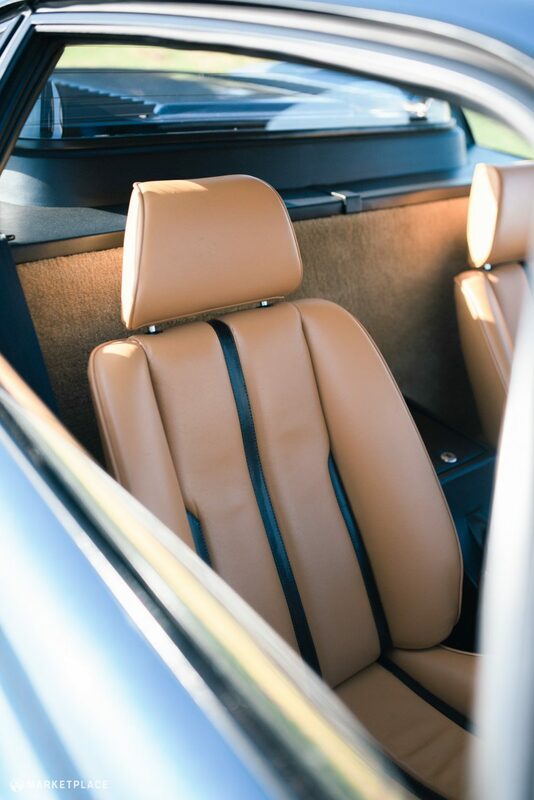 The black center stripe in the seat is handsome and provides a nice touch of contrast. 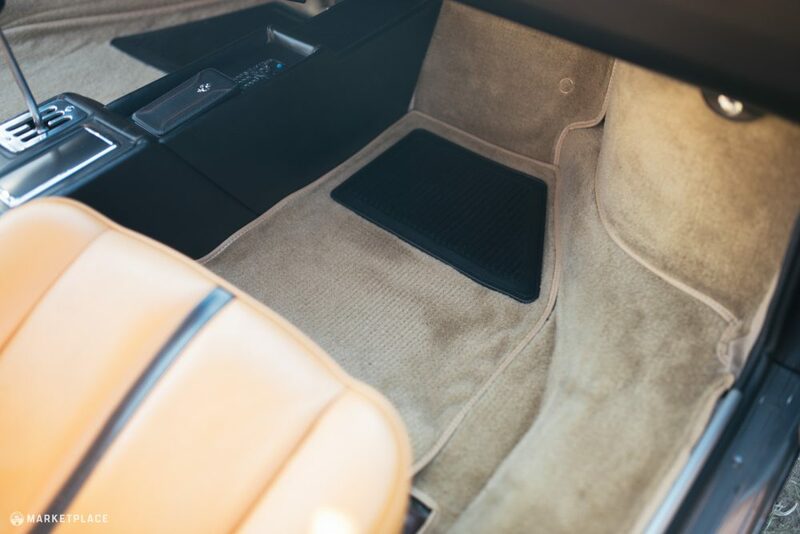 The door panels, center console, and carpeting are immaculate, presenting in near showroom-fresh condition. 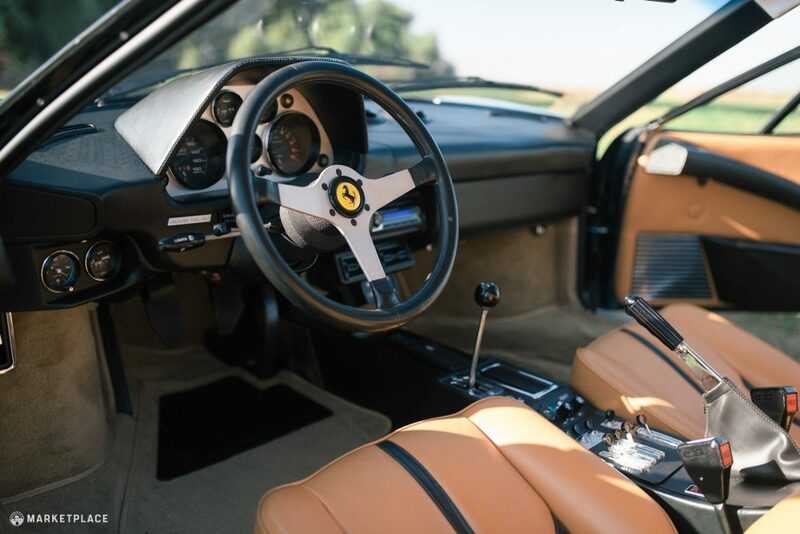 Engine – This GTB still sports its original transversely-mounted 90-degree 3.0-liter twin-choke Weber 40 dual-overhead-cam V8. 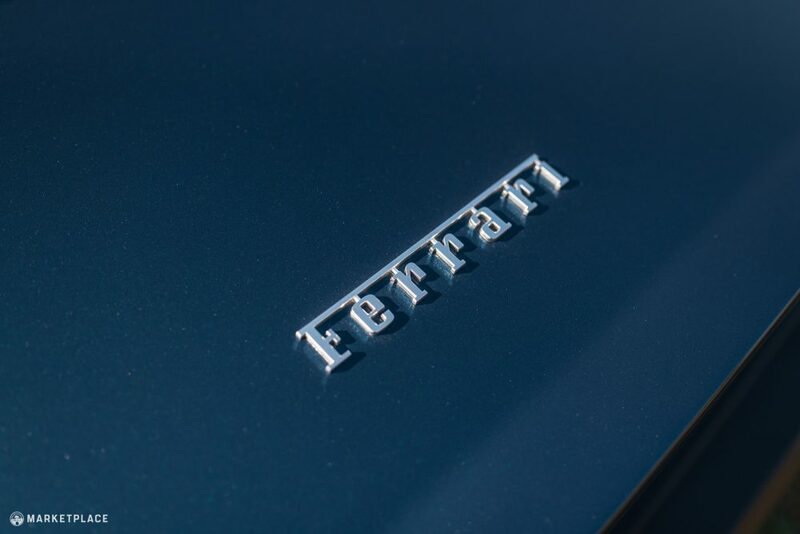 The US spec cars are down on power compared to their European counterparts for emissions regulations, but still impressive considering other US-spec smog-era vehicles. 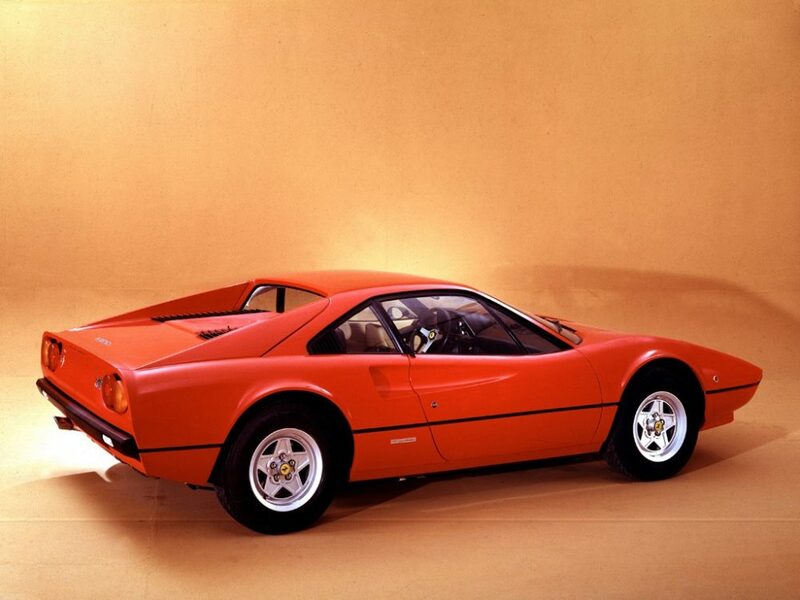 In general, the 308 engines are quite bulletproof and parts are more available than is the case with other Ferraris. 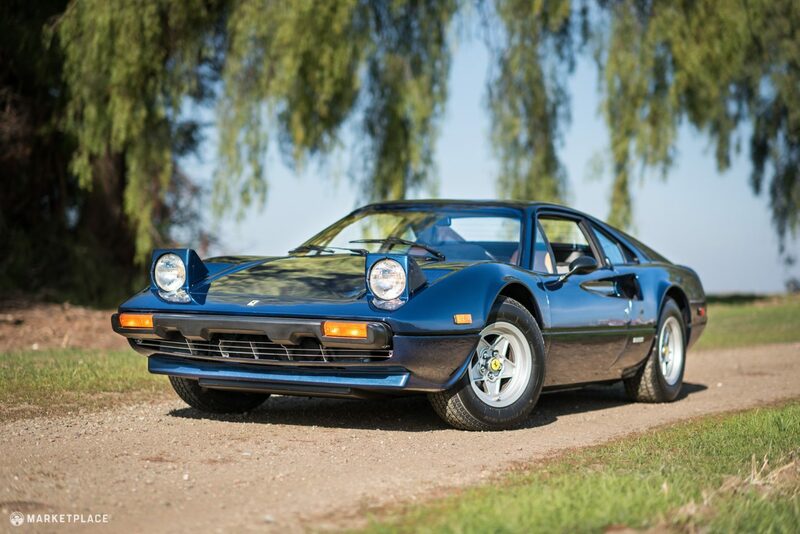 The Drive: The car starts promptly every time, and the engine operates to factory standards for the model year. 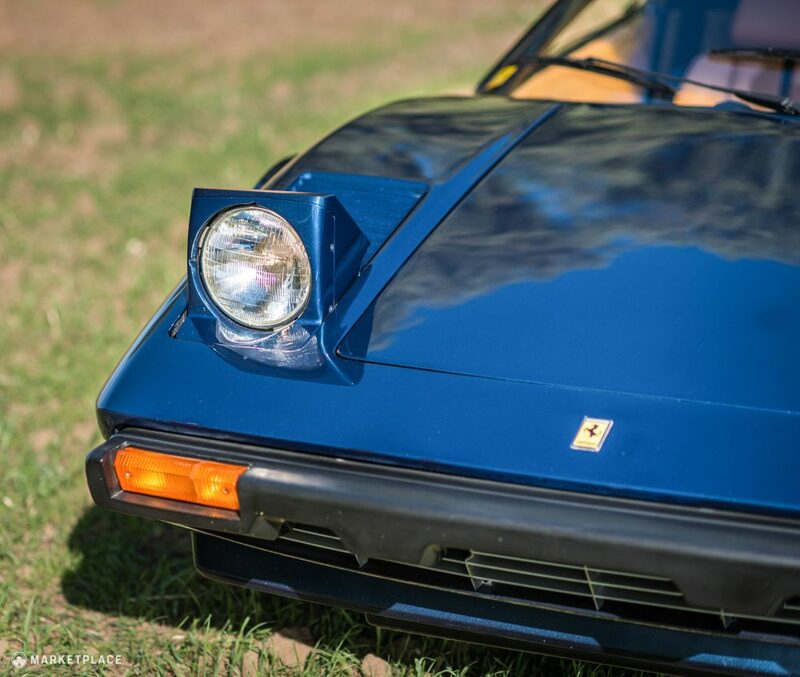 2015: Carburetors rebuilt, AC recharged. 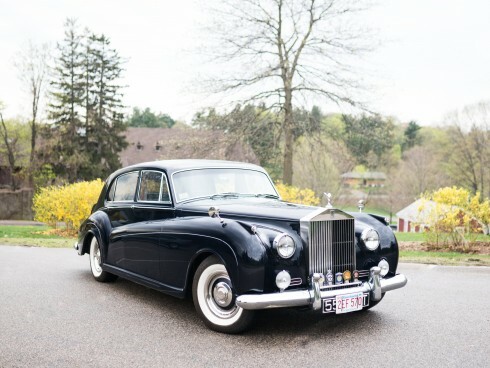 The work was completed by Don Rudd Restorations. 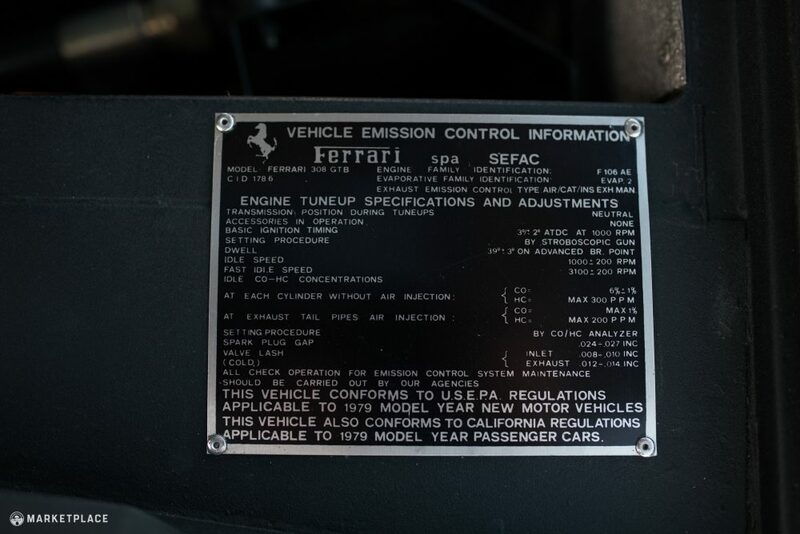 2011: At 51k miles the Major Ferrari Service (timing belt, complete engine gasket kit, tensioner bearings, etc.) 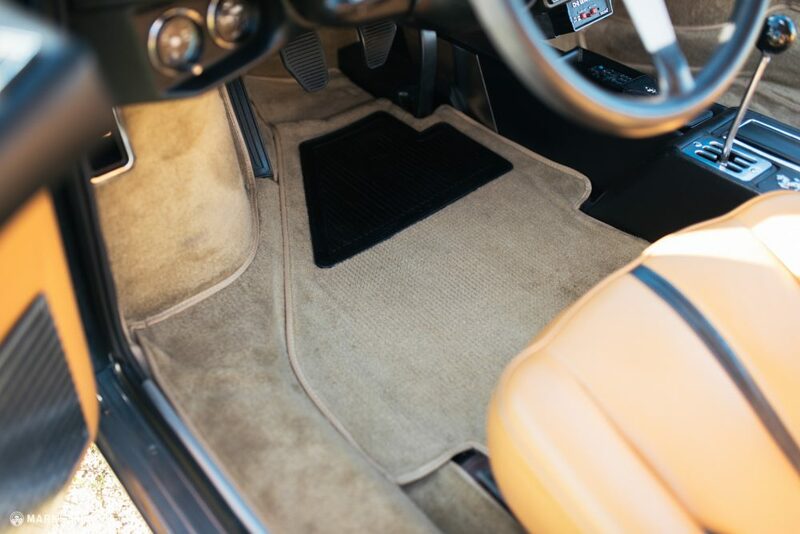 was carried out by Stewart Automotive. 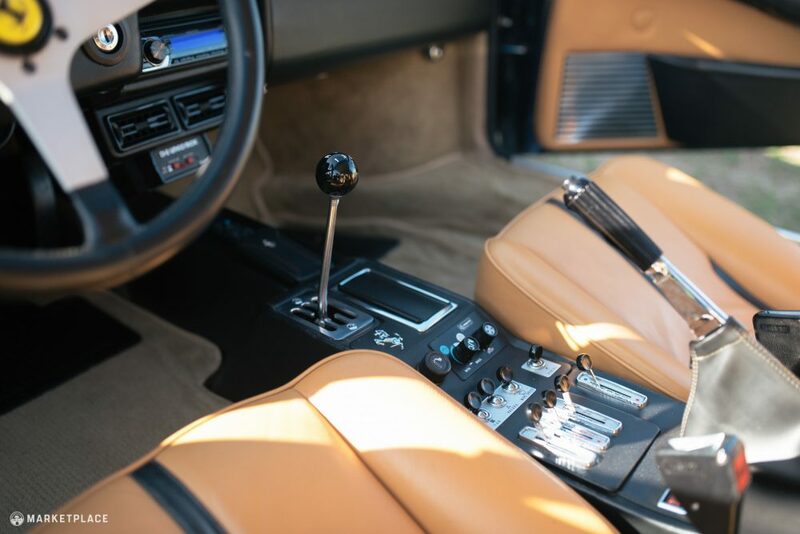 Transmission – The engine is coupled to the original five-speed dogleg transmission, which, in tandem with the clutch-type limited slip differential, delivers the MPH at will and with ease. 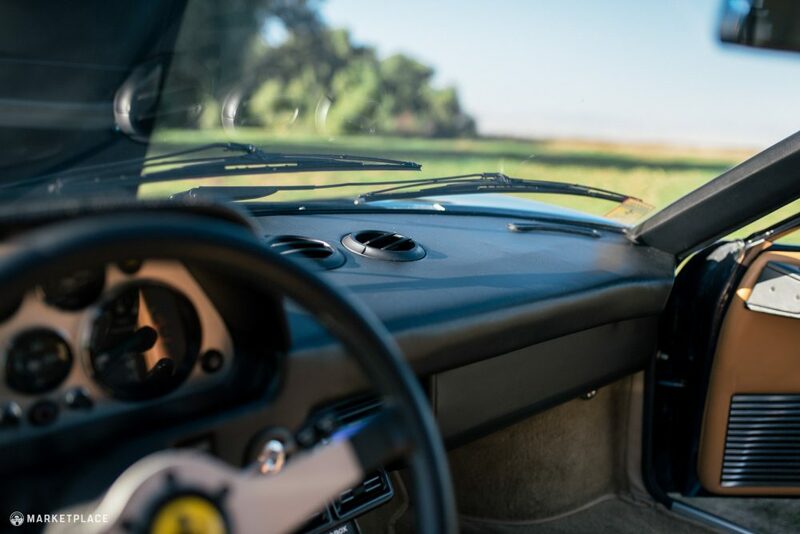 The Drive: The quintessential open-gate shifter reminds you that you’re definitely driving a true Ferrari, and the dogleg is a joy to use. 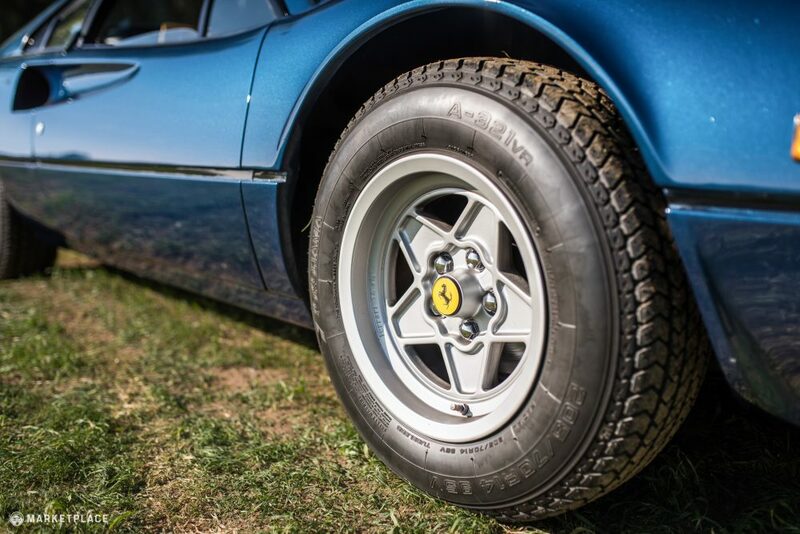 Clutch may feel tight for those unfamiliar with 308s, but after a few shifts it becomes second-nature with gear changes. 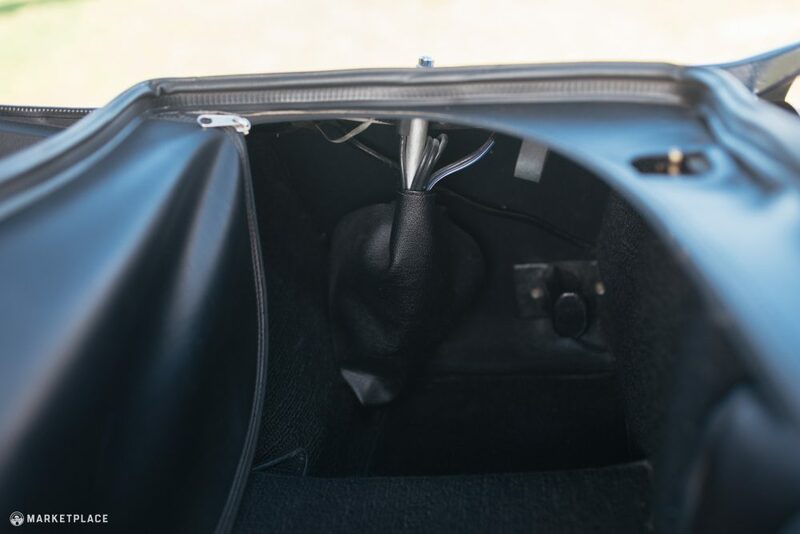 Handling – The four-wheel independent double wishbone suspension is spec’d with a conservatively dampened coil spring and damper combination in addition to front and rear anti-roll bars. 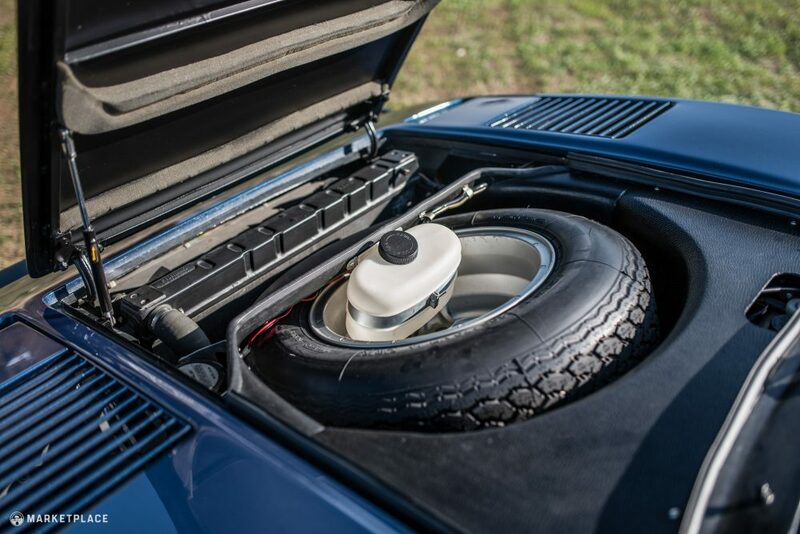 Braking is handled by four-wheel ventilated discs, and an unassisted rack-and-pinion steering system serves up quick steering inputs with excellent road feel. 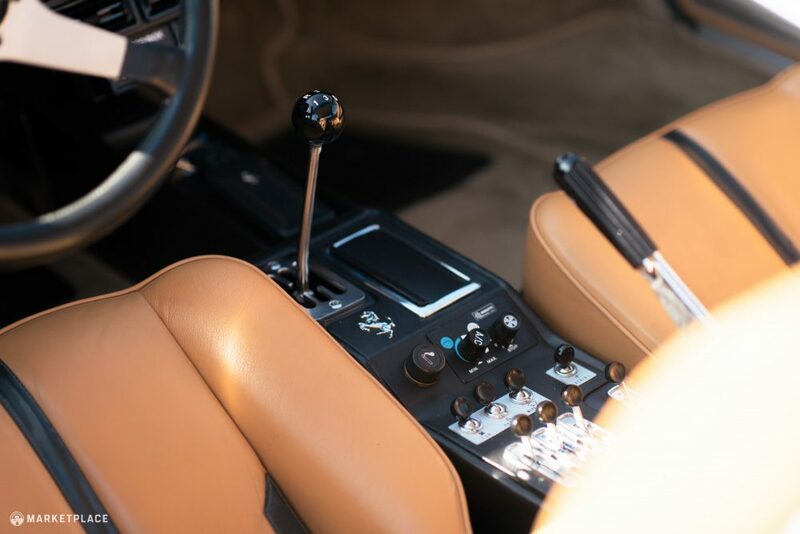 The Drive: The simple yet proven drivetrain offers excellent feedback through the MOMO wheel and pedal assembly. 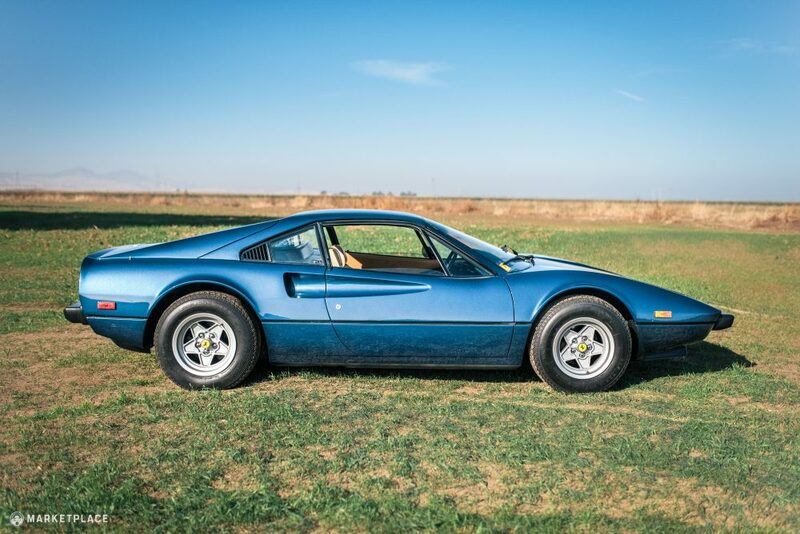 Aside from the paint, this 308 is highly original for a nearly 40-year-old car. 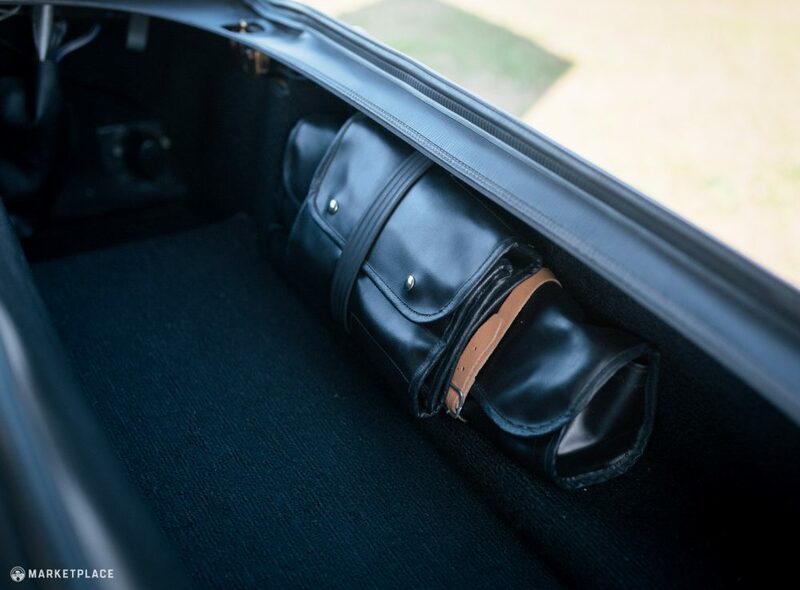 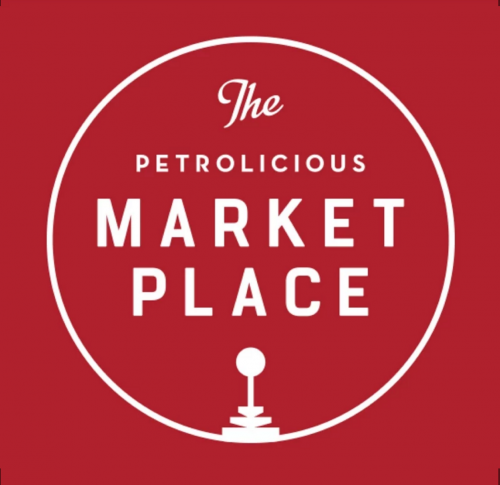 Included in the sale is the original full-size spare, jack, and toolkit along with the window sticker, maintenance receipts and full timeline of all servicing, and of course, the owner’s manual. 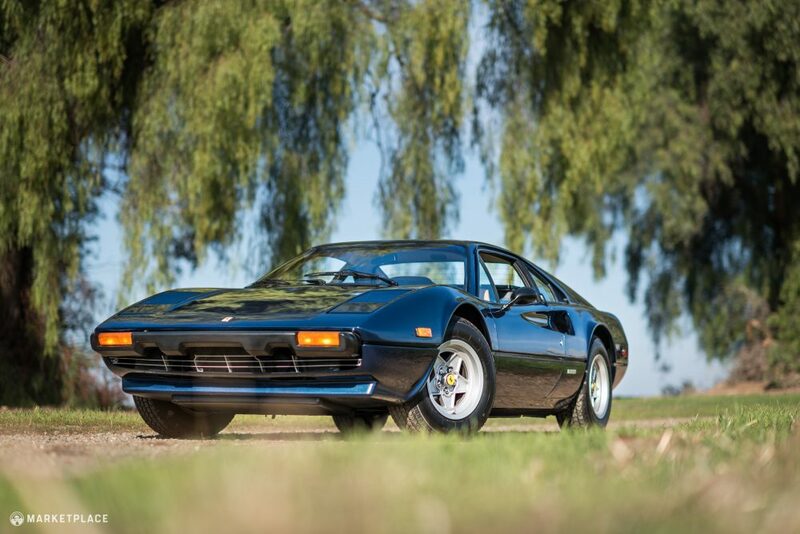 The earliest fiberglass ‘Vetroresina’ cars which are quite rare command the highest premium in the 308 market at the moment and regularly fetch above $200,000. 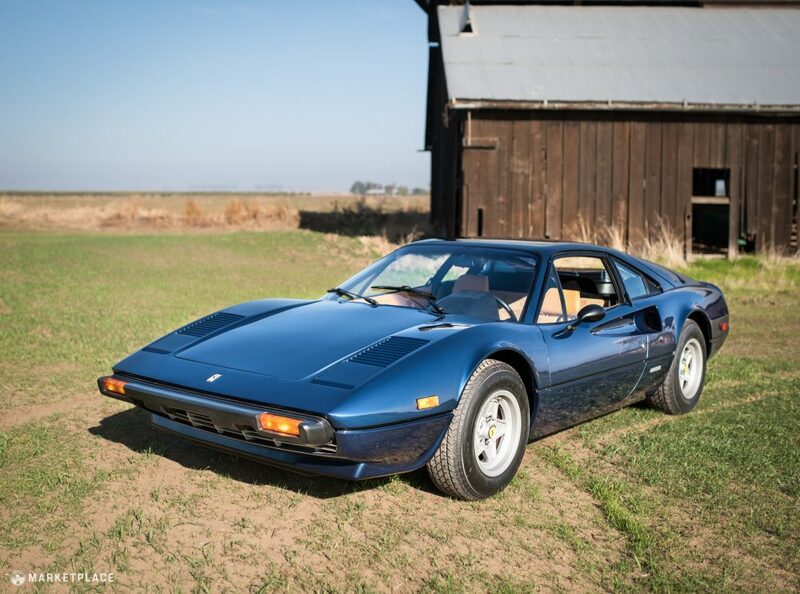 A handful of steel body GTB/GTS models have brought over $150,000 which has pumped up estimates in recent auctions, but while most top examples are earning above 6 figures, they are still below the lower auction estimates likely indicating the market has found its new equilibrium for the time being. 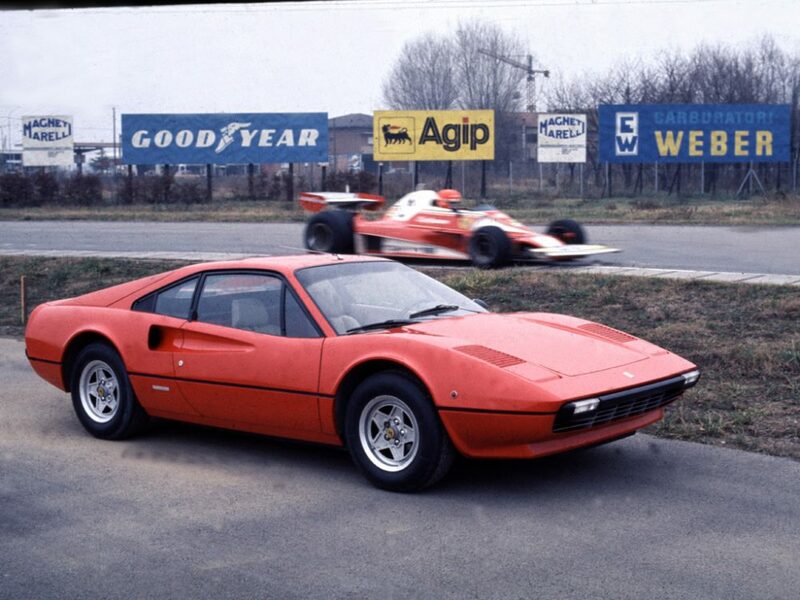 Additionally. 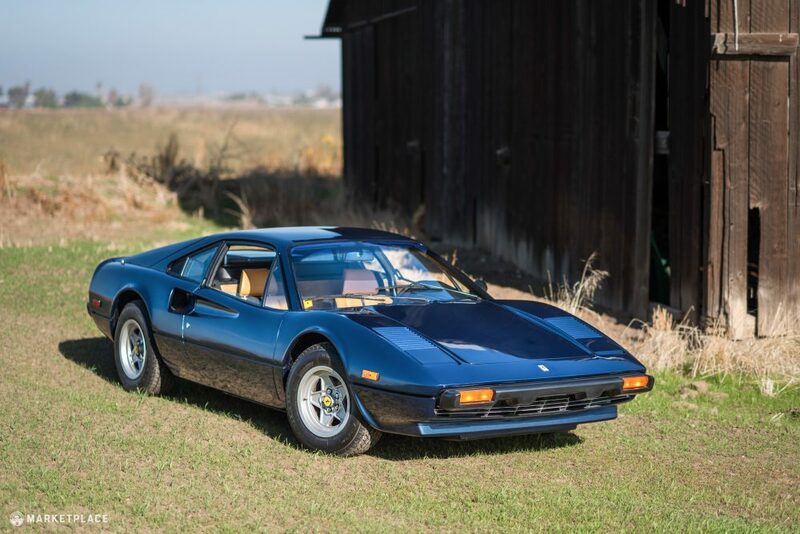 color is key driver in prices as the top performing examples have been finished in non-traditional Ferrari colors as the ‘routine red’ cars seem to be less desirable unless there is another redeeming characteristic (highly original, low mileage, notable ownership, etc.). 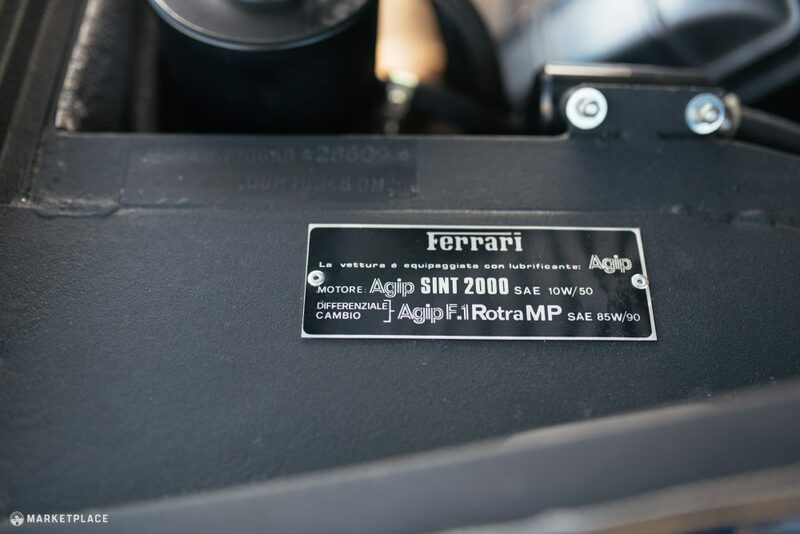 Final Carbureted Mid-Engine Ferrari – Fuel injection became standard about halfway through the 308 production run, ending an important era for Ferrari. 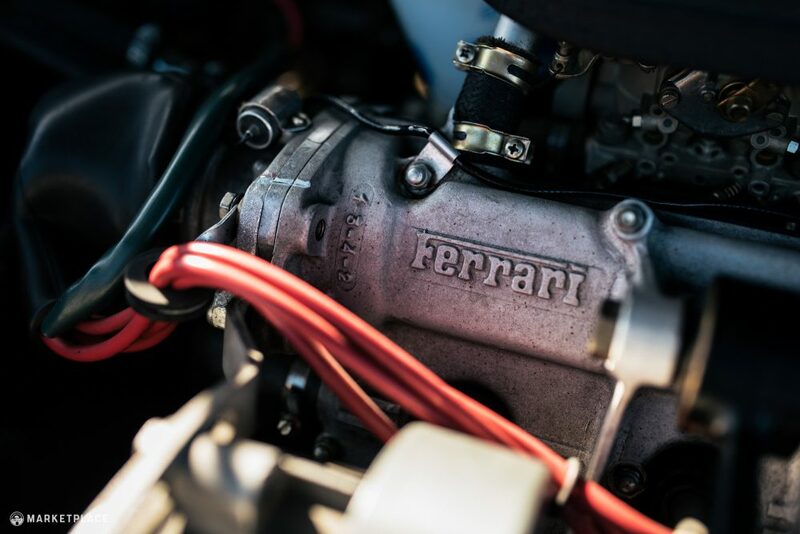 While fuel injection was the natural next step at the time, there’s still such a romance in the distinct rumble of a carbureted Ferrari. 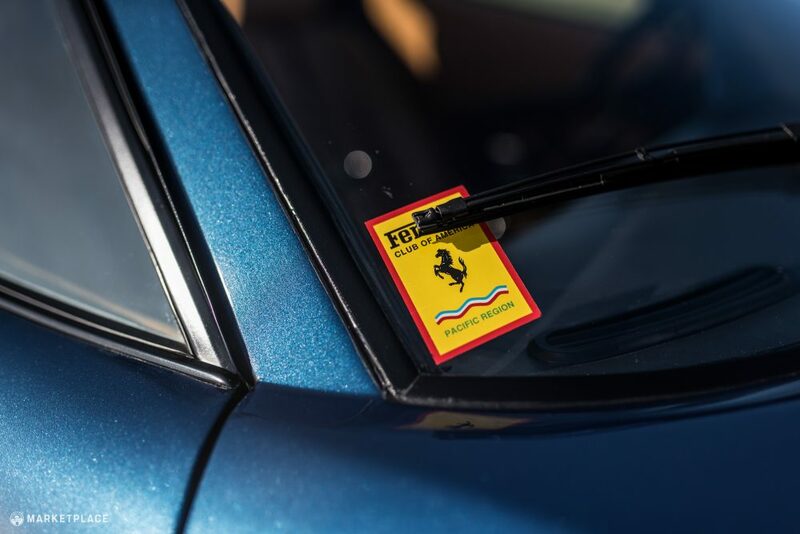 Award Winner – This is a two-owner example that’s a known car in the Ferrari world. 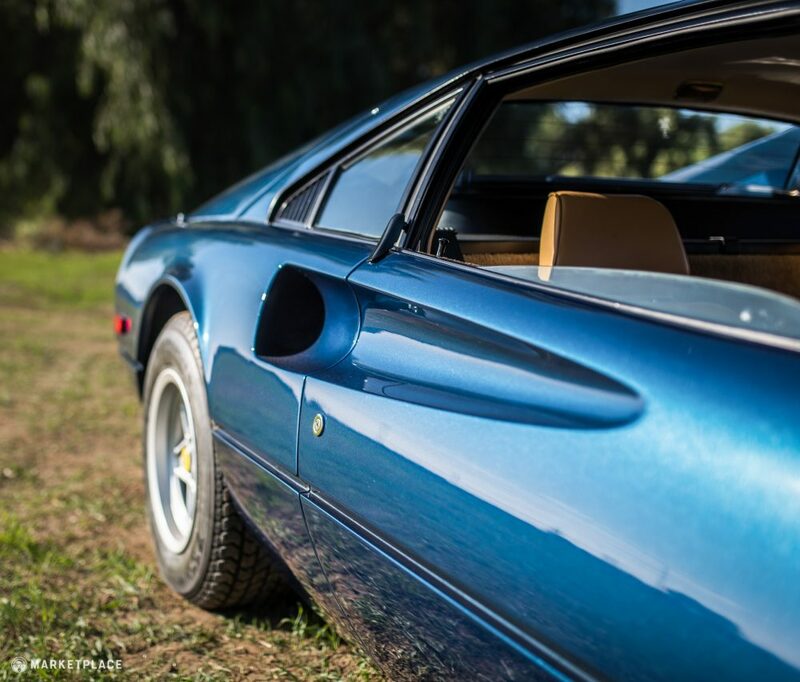 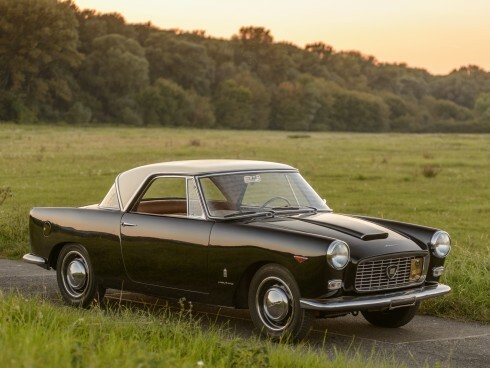 With appearances and concours wins at local shows and current custodianship by a Ferrari judge, it is the type of ownership history that inspires confidence. 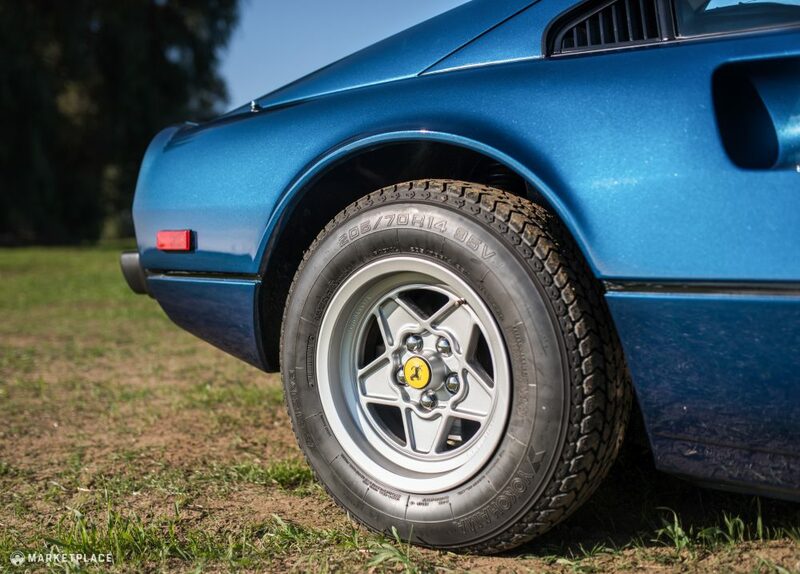 The Drivers Ferrari – While looks and such are subjective, the 308 is phenomenal to drive. 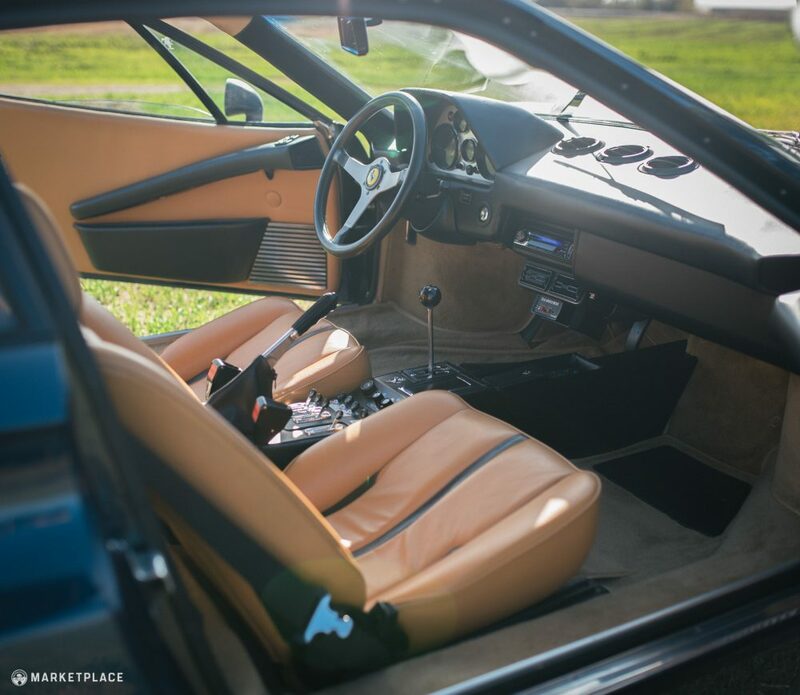 Just the right amount of power, great induction noise, and a sublime seating position with a broad greenhouse. 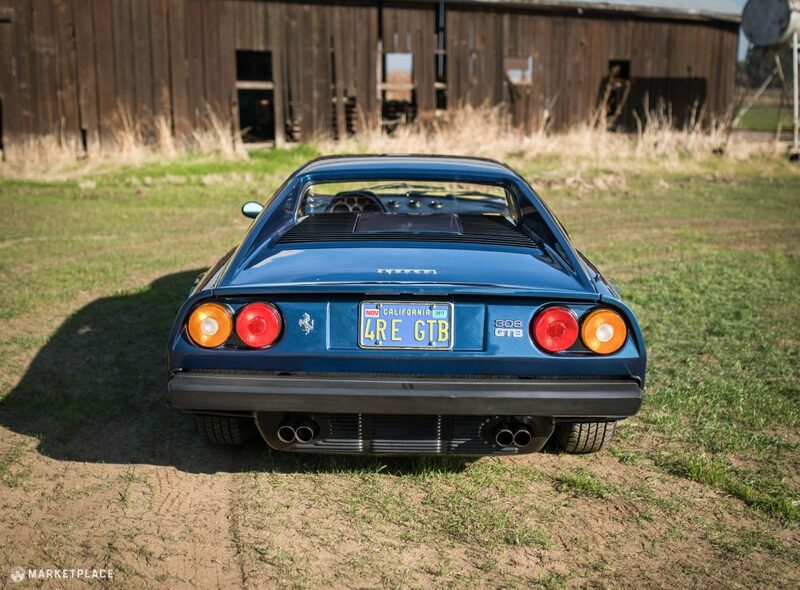 This car is represented by Steve Kitrell, and currently owned by Leon Limon of Sacramento, California. 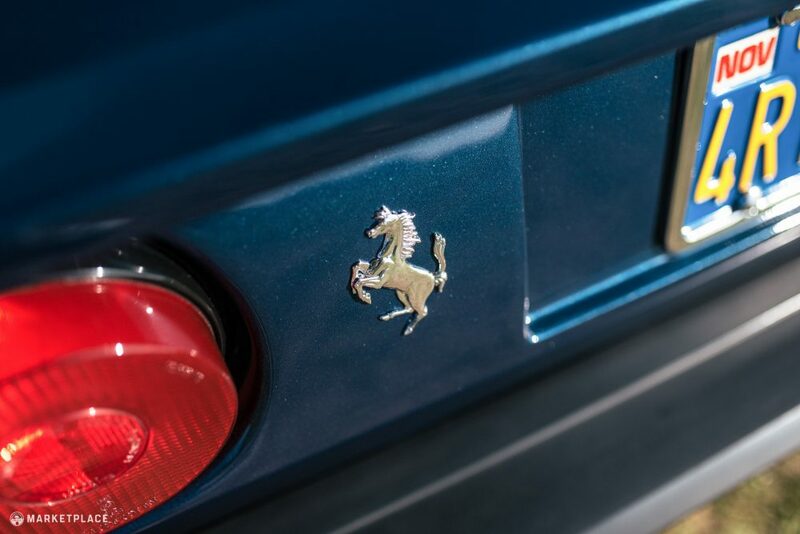 The 308 came to be at an interesting junction in Ferrari’s history. 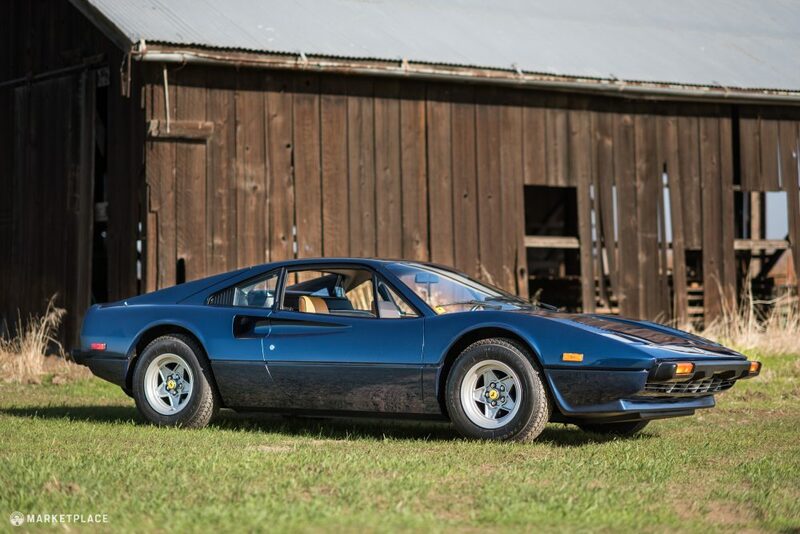 Unveiled at the 1975 Paris Auto Show, it was a return to order, re-instituting Pininfarina after a brief stint with the Bertone-designed Dino 308 GT4. 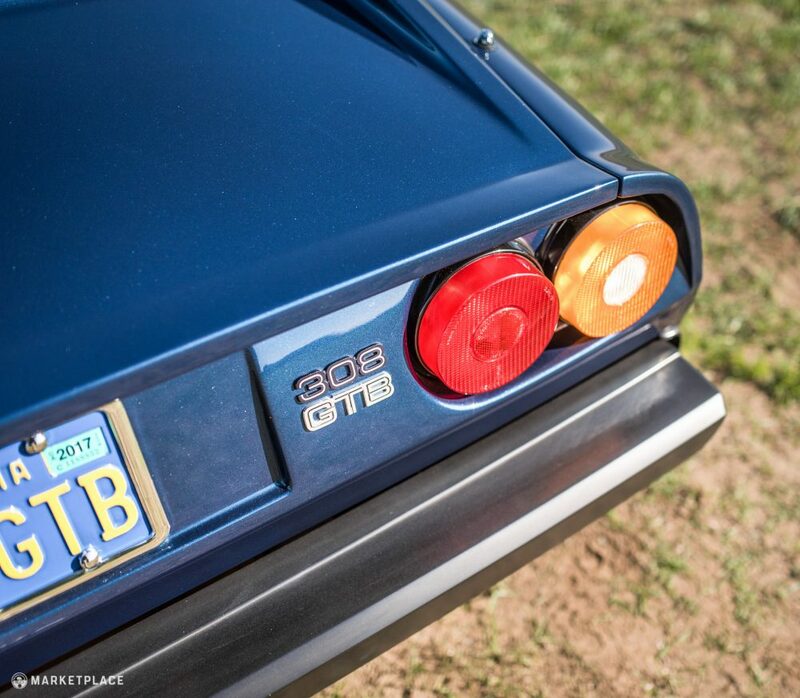 Interestingly, the 308 moniker was applied to both cars, which shared two years of production, with the GTB offering the power and performance the market was used to. 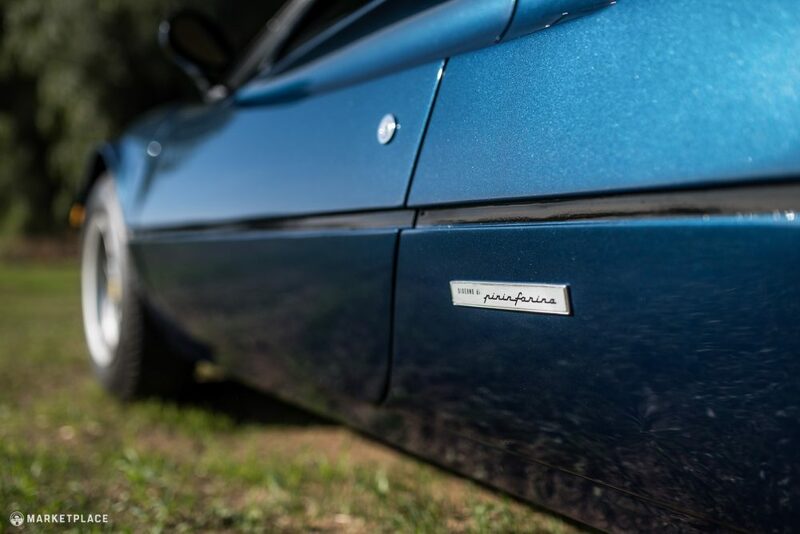 It’s mix of swooping curves and distinct creases, and the era’s wedge-shape obsession proved to be yet another Pininfarina design hit. 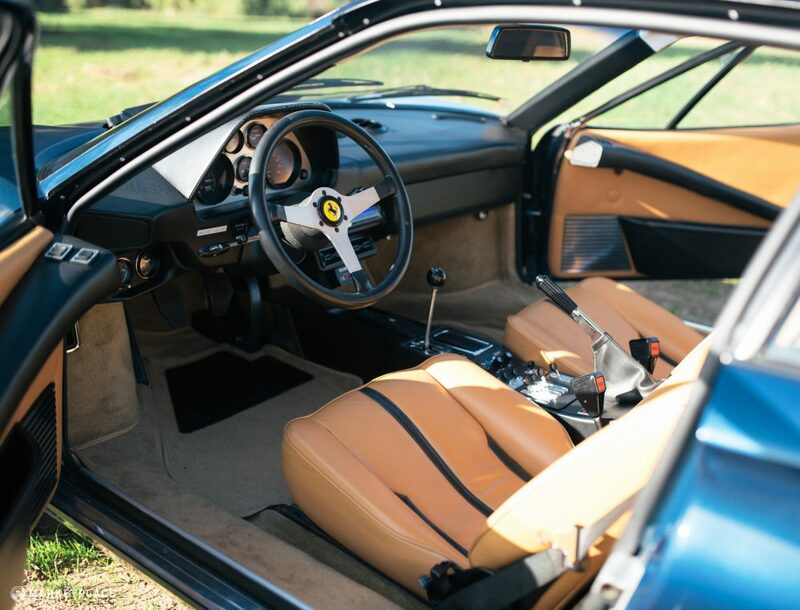 Here’s what it’s like to live with a Ferrari 308 GTB to get a sense of the sound and sense of occasion.